Sarah, owner of historic narrowboat Chertsey (No 130), blogged last week about the curious numbering of the bridges along the Sheffield & Tinsley Canal with new blue signs. This canal was reaching the top of my list of waterways to be walked or cycled to re-check the map data so an exchange of emails resulted in us walking together from Sheffield to Rotherham on Sunday. 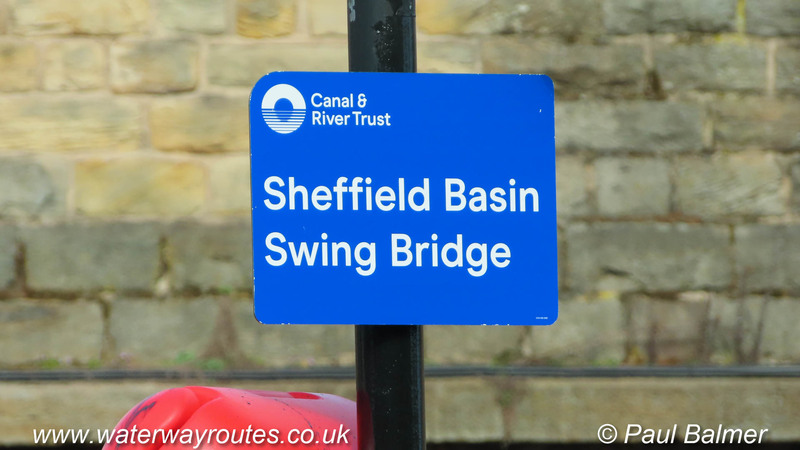 New Blue Bridge Signs along the Sheffield & South Yorkshire Waterways. New blue signs have appeared on many of the bridges but, unfortunately, some of the names or numbers don’t appear to be right. One, for example, says “Footbridge” despite road vehicles using the bridge. 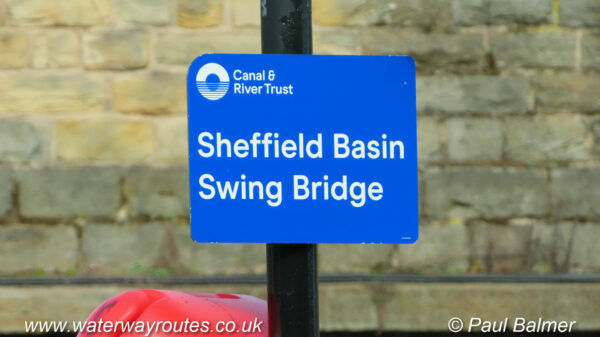 Traditional Bridge Signs along the Sheffield & South Yorkshire Waterways. Many of the bridges have more traditional signs, said to be from around 1993, but the new blue signs don’t always fit in with the traditional numbering. This was the first time I had met Sarah and I finally managed to catch her looking at the camera near the end of our walk. I enjoyed the lovely walk in great company as we chatted about all sorts of boating and educational matters. There’s more on Sarah’s Chertsey Blog. Sarah at the Greasbrough Canal. 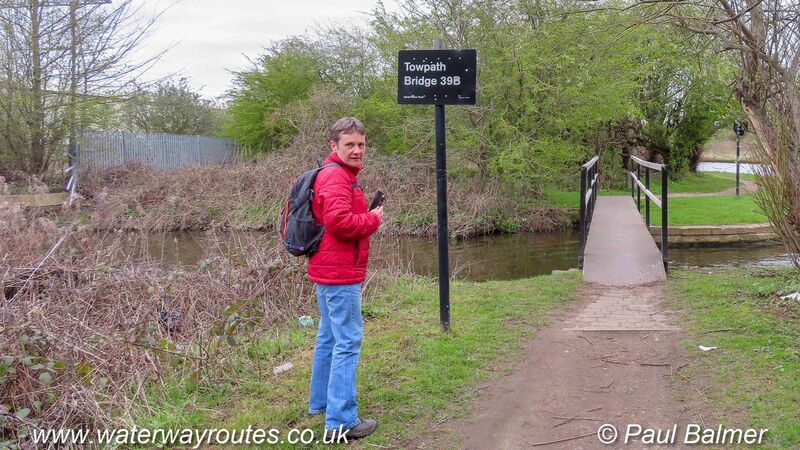 That’s the Greasbrough Canal passing under the footbridge in the background, with the Sheffield & South Yorkshire Navigation passing on the right hand edge of the photo. We returned from Rotherham to Sheffield on the new Tram-Train. 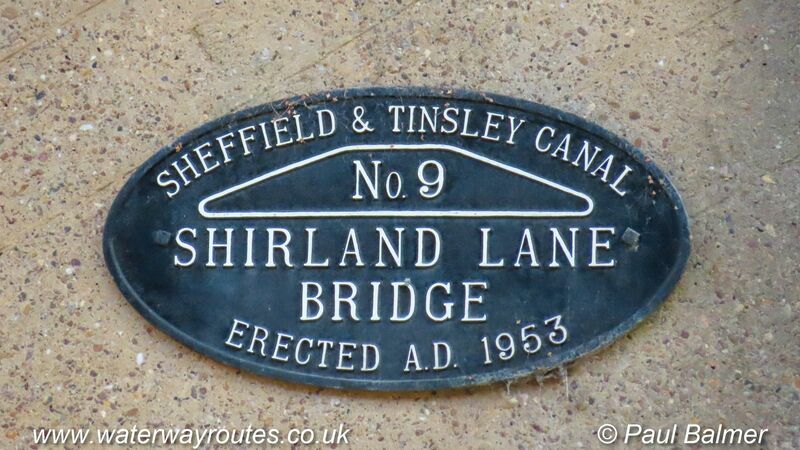 This entry was posted in Blog, Chertsey, Greasbrough Canal, Sheffield & Tinsley Canal (SSY Navs) by Paul. Bookmark the permalink.